W. Nicholas Abraham, M.Div, Ph.D, or “Dr. Nick”, is a life coach, licensed professional counselor, motivational speaker, therapist, recording artist, author, teacher and trailblazer. 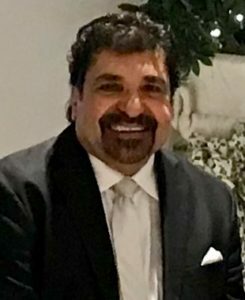 With more than 30 years’ experience in treating substance abuse, depression and anxiety, he provides psychotherapy, guidance and psycho-education to couples, individuals, adolescents and families. He also offers group counseling and speaks to many groups and conferences yearly. Dr. Nick treats a wide range of clients, including those suffering from PTSD, depression, and relational conflicts. His office is located at 8550 United Plaza Blvd. Ste. 702 in Baton Rouge, Louisiana. 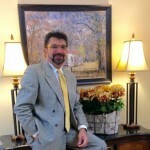 From 2008 to 2011, Dr. Nick worked with the Department of Defense as a Military Family Life Consultant. His work consisted of providing short term and solution focused counseling to our military families during the Iraq war. 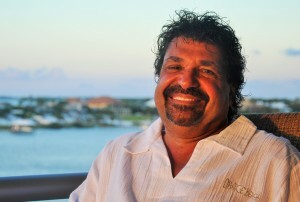 In 2011, Dr. Nick returned to Baton Rouge and re-opened his private practice. A strong believer in the “wounded healer concept” Dr. Nick offers counseling that is drawn extensively from his life’s journey and the wounds that have led to wisdom. He provides compassion, empathy and human identification with the client. He also employs a cognitive-behavioral model re-framing life events and correcting core belief systems that have proven to no longer be necessary in coping with life’s problems. The past can be healed, the present can be fulfilling, and the future can be satisfying while making plans and living with mystery, imagination and acceptance of the limits of the human journey. “I always come out of his session sweating and yet uplifted. He has the gift of doing behavioral therapy with a welcome and safe discomfort. And he always makes sure I leave less defensive and more welcoming of life as it is and not as I would have it. The desired outcome of Dr. Nick’s counseling sessions are always established through collaboration with the client. The overall objective is the successful resolution of the memories, living with both mindfulness and body-fullness in the moment and setting goals for the future. 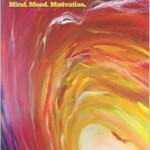 Homework and articles are often assigned so the client works outside the therapeutic experience. Clients must make their own decisions regarding such things as deciding to marry, separate, divorce, reconcile and how to set up custody and visitation. That is, Dr. Nick will help clients think through the possibilities and consequences of decisions, but his Code of Ethics does not allow him to advise anyone to make a specific decision. Dr. Nick specializes in addiction (substance abuse), anxiety and depression, relationship growth, adolescent and adult developmental issues and sexual identity concerns. 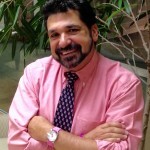 He has further expertise in Men’s Health and Wellness issues and is a Member of the Louisiana Counseling Association and the American Counseling Association. Dr. Nick is a certified trainer of the Extended DISC. He also provides Myers-Briggs assessments and training in Diversity. Degrees – “Dr. Nick” holds a PhD in Counseling from Marquette University, a Master of Arts, Religious Studies from Indiana University and a Master of Divinity, Theology from Sacred Heart School of Theology. spiritual healthconcerns. He spent 11 years as a Roman Catholic priest before making the difficult decision to change courses in life. Thus, he has a rich and in-depth appreciation of all those who have gone through major life transitions, be it divorce or death of a dream. WKDL in Clarksdale, Miss. “Little Nicky” would swing and sway away, standing on a chair because he was much too small to reach the microphone without assistance. 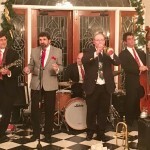 He formed his first jazz band, Tres, which played regularly at the famous Hollywood restaurant and dance club 40 miles south of Memphis. After college, his music became a hobby until he engaged in full time Catholic music ministry in 1996. 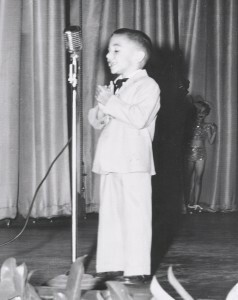 He also included singing as a teaching tool in his many public speaking engagements across the country. 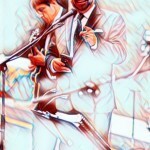 In 2012 Dr. Nick became a sought-after entertainer with his new standards/jazz band, the Nick Abraham Xperience. 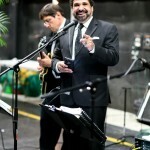 He has been applauded as one of the “great charismatic singers of Baton Rouge.” Wait until you see him direct his new full orchestra!The Nick Abraham Xperience performs at a variety of venues in and around Baton Rouge including Bin 77, Hotel Indigo, Lava Cantina and Renaissance Hotel and is taking private bookings from intimate weddings and birthday parties to major gala events. 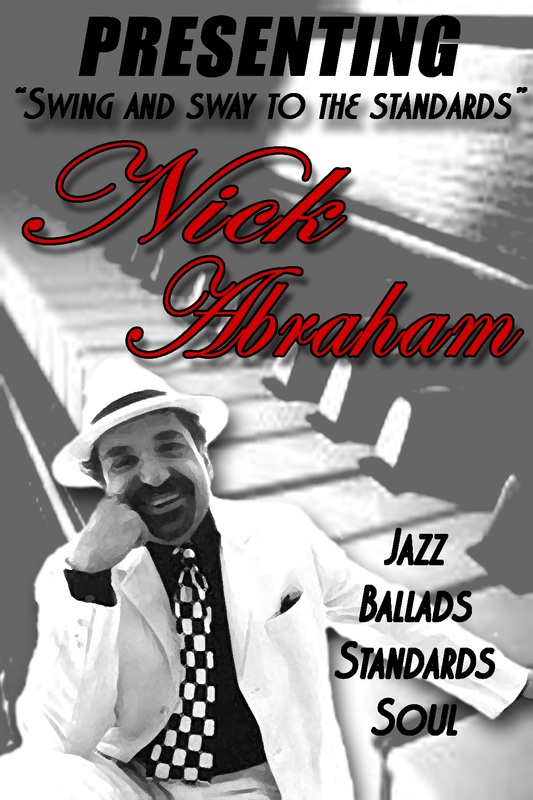 See the Nick Abraham Xperience page for information, including calendar, video and audio clips, current song list, and request form for information about individual, quartet, sextet or full orchestra booking! 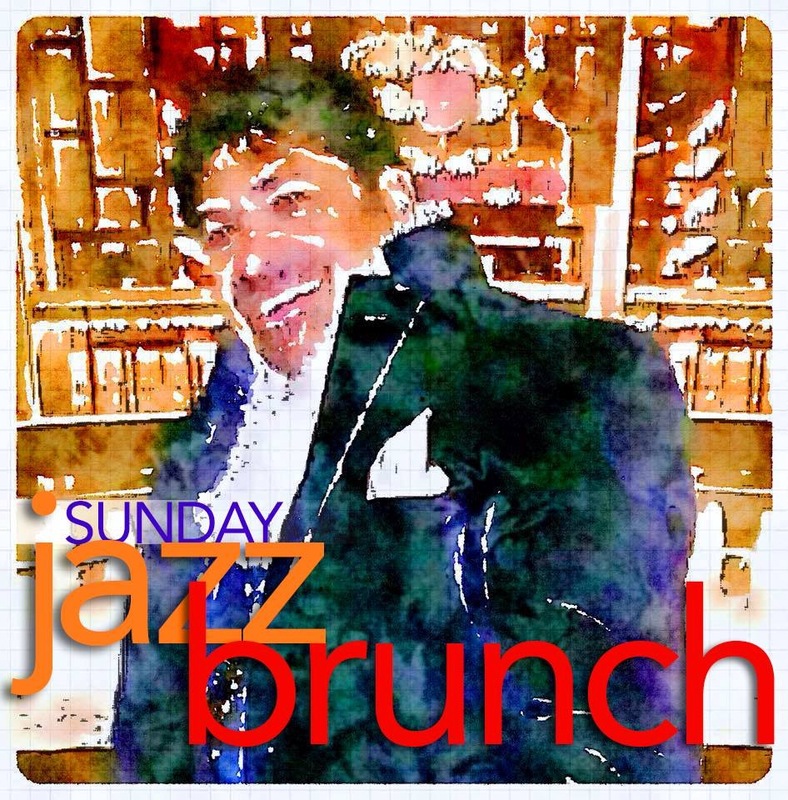 Dr. Nick composed and recorded Angel of God, a “Catholic jazz” CD based on the scriptures. (Visit the Shopping Cart to hear clips or to order.) The CD and score have sold over 10,000 copies to date. He is currently arranging a new CD with a “jazz/standards” sound. Self-taught at both guitar and piano, Dr. Nick’s primary instrument has always been his voice. He will gladly tell you that the voice is his favorite instrument, second only to the saxophone. – Dr. Nick has recently released his 5th book, I’m Limping Very Well, Thank You, which can be found at Amazon.com, BarnesandNoble.com or here on his website. I’m Limping Very Well, Thank You is a captivating collection of reflections for anyone in search of self-improvement and growth. With a masterful mix of wit, wisdom and analysis, Dr. Nick offers a no-holds-barred look at the human condition. From grief to recovery, relational drama to slowing the pace of today’s high-octane, technology-driven world, I’m Limping Very Well, Thank You is a road map to Destination Serenity. Earlier works include Parent Heart: A Workbook for Parents, You’ve Got Male, Resources for Living, Parenting the Parent: Reflections by the Dozen and Becoming a Eucharistic People. Some are still in print; for more information visit the Books page on this site. 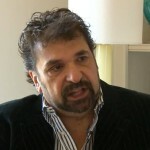 Dr. Nick is also a regular columnist for City Social Magazine. Dr. Nick maintains a speaking schedule on any number of motivational and psycho-educational topics and has enjoyed the privilege of sharing his song, stories and laughter as well as insights with many others. 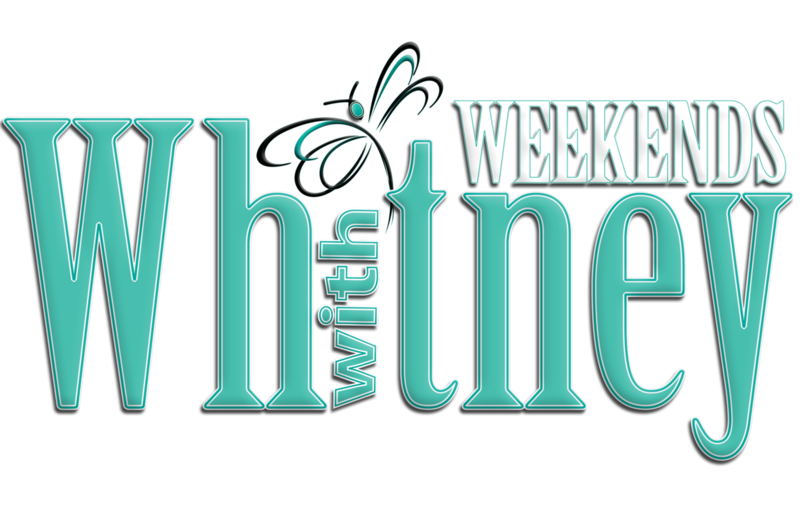 He is recognized by his many television appearances on WBRZ-TV’s 2une in morning show and his weekly segment on “Weekends with Whitney“, with his longtime friend Whitney Vann. To book Dr. Nick for an public speaking engagement or interview, contact him directly at drnick@nickabraham.net or 225-663-6425. Dr. Nick devotes a large amount of his energy to assisting the under-served of our community, helping them find resources, learn life skills, develop better coping strategies and build self-reliance/initiative. He co-founded the Louisiana Men’s Health Organization and served as its founding President. After Katrina, he formed a 501(c)3 organization, The Angel of God Project, and raised over $15,000 to help those who lost their livelihood. In 2013, the Angel of God Project became the Tommy and Sue Abraham Foundation, providing scholarships to promising college musicians who lack financial resources. A native of Clarksdale, Miss., he resides in Baton Rouge, Louisiana.